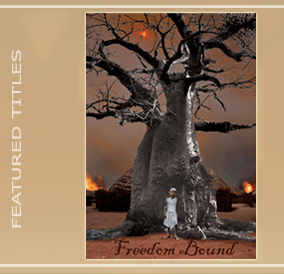 Become a follower of my blog and on November 10, 2012 I will randomly pick winners to receive a signed paperback copy of my award-winning historical novel Freedom Bound. Be the first new follower to name which branch of the military service has a birthday on November 10th and you'll win a $10 amazon.com gift certificate. Check out my website, www.rosalieturner.com, to learn about Freedom Bound and my other books.